As much as we love to fish the sad fact (and sad it indeed is…) is that not everyone shares our passion and we sometimes have to share our love of angling with the real world – and that frequently includes the family and non-angling partners. 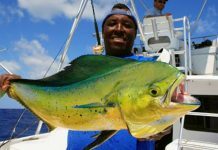 The great news is, of course, that the wonderful reef fishing available on The Bahamas means that the whole family can get to grips with angling but if you are fishing as part of a family holiday or just enjoying a day or two fishing as part of a holiday with a partner then don’t worry as the Islands of The Bahamas offer a huge range of activities for the non-anglers in your life from spas and shopping to golf and diving to unspoilt beaches , cultural tours and national parks. Believe it or not you can even swim with dolphins and the world famous swimming pigs! 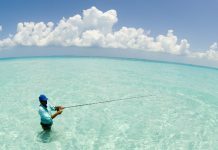 The nightlife can get pretty hectic too – sun, sand, surf and indeed fishing may rule the days in The Bahamas but clubs, casinos and live shows rule the nights. Thanks to the Bahamians’ fondness for music and dancing there are no shortage of nightspots to make a holiday day last long after dark too with Nassau / Paradise Island the centre of much of the entertainment. 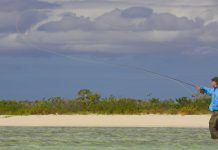 You can even make your partner ‘permanent’ by planning wedding and honeymoon packages although we suspect that if you do you may need to come back at a later date to experience the fishing! The Bahamas is one of the premier dive destinations in the world offering crystal clear water, soft sand and colourful reefs teeming with fish all accessible to the snorkel user. But if you want to pull on the scuba gear you can experience the thrills of shark watching and feeding with nurse, reef, lemon and bull sharks widely distributed and occasional tigers and hammerheads. Key areas are Nassau / Paradise Island, Grand Bahama Island, The Abacos, Long Island and Andros and don’t worry – you’ll be completely safe in the capable hands of highly skilled dive leaders. In addition there are extensive underwater caves, walls and wrecks to be explored with octopuses and turtles amongst the inhabitants you are likely to encounter. If you are in The Bahamas diving from late January to early February, don’t miss the huge shoals of groupers as they spawn around Andros, Long Island, Cat Island and the Berry Islands; and in November you’ll witness the ‘March of the Lobsters’ as they swarm across the sandy sea beds of the Little Bahamas Banks. The Islands of The Bahamas have 25 national parks and conservation areas under the care of the Bahamas National Trust . These wildlife havens range in size from the 743 square km Inagua National Park, which is the nesting area of the Abaco Parrot and the breeding grounds of the West Indian Flamingo, down to the eleven-acre Retreat gardens in Nassau – home of the National Trust and the largest private collection of palms in the Western Hemisphere.